Take your customers for rid over this customized motorbike shape bottle opener transportation keychain! 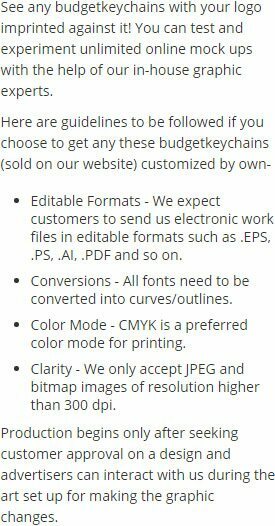 An awesome choice for marketing your motorcycle workshops, automobile showrooms or anything related to bikes or to imprint their safety awareness messages. It serves perfect for marketers who are trying to spread word about their business with wide customer segment. 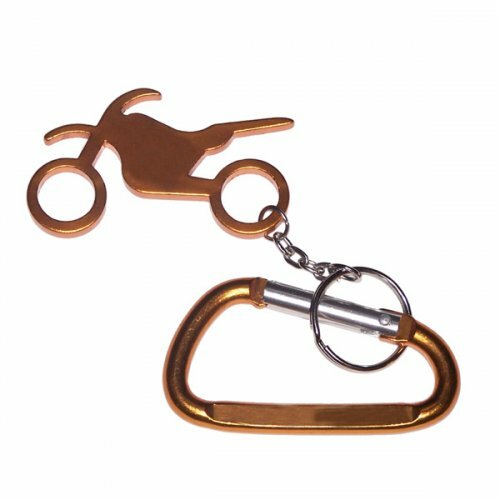 This motorbike shape bottle opener keychain can be offered as a complimentary or individual gift depending on the choice. Bulk orders are eligible to receive discounts. Request a quote to know about wholesale benefits offered on promotional motorbike shaped bottle opener keychain. Features –Motorbike shaped bottle opener with key ring in metallic finish. Product Size – 2 1/2" x 1 3/8"
Available Colors - Metallic Black, Metallic Gold, Metallic Blue, Metallic Green, Metallic Silver and Metallic Red. Imprint area – 1 1/2" x 5/32", 3/4" x 1/4"
Imprint method - Laser Engraving, and Printed. Imprint Area :3/4" x 1/4"
Product Size :2 1/2" x 1 3/8"